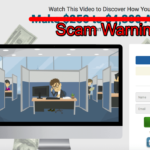 StockPair Review - Scam Broker or Genuine? Find Out! For all those interested in binary options trading, we’ve observed one single burning question always persists. Its that what brokers to trust and go with. We know that its a genuine question which needs special thought and attention to address. There is just no dearth of options in trading software, so is it with brokers. The real thing is how to zero-in on a broker. Naturally, you need a quick answer from us whether to trust StockPair Broker or not. So without further adieu, We say- Yes, Go ahead! First things first. StockPair broker is licenced. Yes you read it right. What a relief isn’t it? StockPair are licensed from CySec and hold the license # 229/14 effective 21/03/2014. The website is managed by Nextrade Worldwide Ltd. based out in Limassol, Cyprus. Also, its regulated by the Belize International Financial Services Commission (IFSC) under the license number IFSC/60/346/TS/14. I think all this helps a great deal in building trust and you can rest assured that StockPair Brokers are NOT SCAM. Now that your doubts about its credentials and credibility have been put to good rest. Let us discuss what StockPair brings to the platter. When we talk of bringing innovative features in trading, StockPair is the frontrunner. It can comfortably crowned as the leader in Pair Options. The trading platform has been built for reliability and transperancy. All this coupled with innovative financial technology, makes it a broker to reckon. The interface is easy and clean yet a powerful alternative for conservative trading markets. The minimum investment here too is $250, €250 or £250. The account currency is set as the same currency in which you deposit your first investment. Deposits as easy and so are withdrawals. The minimum amount for withdrawal is 20. Withdrawals can also be cancelled midway. Deposits and withdrawals can be effected with the following methods- Credit Cards, Wire Transfer or Neteller/ Skrill. Neteller/ Skrill are just the supported e-wallets. A withdrawal request can take anywhere between 3 to 7 business days to the stage of money getting credited to your bank account over and above an SLA of 48 hours to process your withdrawal request. Note– StockPair do not charge any money as commission while depositing or withdrawing. 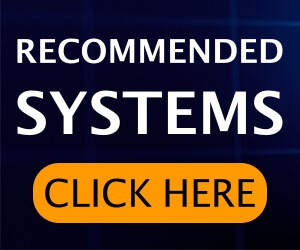 You do not need to download any software, their trading platform is fully accessible on the internet. The profits on an average on most assets is over 82%. And did we tell you- there is 0% return if your trade ends in OTM. 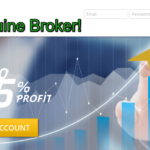 This percentage is realistic and can be considered above average wrt other brokers. The Trading Options available on StockPair can be broadly classified as Up/Down Binary Options and Pair Options. Up/Down are further of two types- the legacy up/down binaries and the StockPair proprietary KIKO Options. The legacy Up/Down options are the simplest one where the asset price is to be predicted upon the expiry of the trade. Its the same old Call/Put option. KIKO is an innovative option introduced. KIKO stands for Knock In – Knock Out. In KIKO options, the traders have to predict whether the price will touch the upper limit or the lower limit first. There is no expiry time in KIKO so you just have to ensure your prediction comes true. StockPair Pair Trading is also a new option introduced by StockPair. In Pair trading the trader makes a prediction which one out of the two assets would end up at a better price at the expiry time. The payout is displayed at the time of placing the trade. As compared to Binary Options, Pair Options are immune to market conditions. The reason being the decisive factor is the relative performance of the assets which are both in the same market. Pair options are categorised into Fixed or Floating Pair. First we’ll explain the Floating Pair option as its another new entry. With it you can choose the level of risk as well. The riskier the trade the more is the payout. Payouts can vary from as low as 10% to as high as 350%. We can explain this with an example. Let there be two closely priced stocks X and Y. Each stock may experience its share of price rise and falls. Your job is just to predict which stock would end up as a winner at the end of a pre-fixed tenure. Now there’s a twist here. The more likely winner would fetch lower returns than if the likely loser wins the race and you put your wager on the latter. Isn’t it exciting! Fixed pair option is similar to its floating version and differs only in the way payouts are made. Each asset fetches the same returns at the expiry time. StockPair offers bonuses as well. Depending on the type of premium accounts you hold, bonus varies. StockPair offers Silver, Gold, Platinum and VIP accounts. Silver account can be bought for $1,000. Gold account comes with $5,000 price tag. Platinum account requires a minimum deposit of $20,000. The VIP account lets one deposit a minimum investment of $50,000. Cashbacks upto 3% are common based on volume. StockPair provides a very good customer support. Its available on working weekdays from 8 GMT. There are options for live chat, email and through phone. The customer support executives are normally very warm and courteous. Languages like Spanish, French, Arabic and Italian are supported. Its not everyday when we get to review a prestigious broker like StockPair. They have been operational for many years now. The reviews on internet are majorly positive barring a few which is quite obvious when concerns with money matters. The innovation they bring is like a breath of fresh air! Being regulated and otherwise too, they demonstrate great ethics and compliance. We strongly recommend StockPair brokers and wish you luck in your trading journey. Thank you for reading my StockPair review carefully. 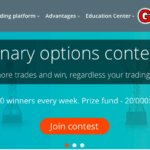 Best Trading Strategy – Make the Right Choice! Hi Sofy. Can you tell me what happened to. L binary , broker they one day dissappeared committed fraud and stole all their clients money including mine . CEO name is Mark Hammond and my senior managers name is Michele Zappos . I very much like to find them. Regards Kai. L Binary is a scam broker. I don’t think you will get your funds back now. whats the difference between lexington code and stockpair? which one would be easier for a novice? why? Both of them are totally different. Lexington Code is a robot and Stockpair is a binary options broker. You can join Lexington Code, as this robot will place trades by it’s own. They are good brokers too. and which one will be best to use ? CFD Stocks is a good broker. thank you for reply – can one open an account with both LEXINGTONCODE and SNAPCASH , in order to have 2 streams of possible income , as a means of not putting all your eggs in one basket ? I have never tried BinaryOption.bot personally. Yes! 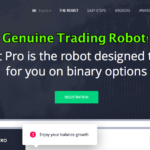 BinBot Pro is available with two brokers only – BinaryMate & FinPari. Have you heard of plusoption broker wot are they like and money withdrawal ? Is Snapcash still good if trading from South Africa? 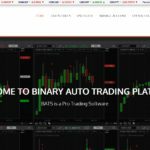 hi dear, can you tell me the best auto trading site which I can invest my money there?